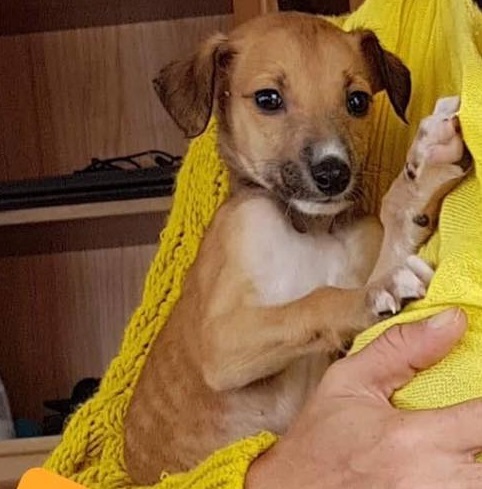 Nalia is a little lurcher cross girl who is now 6 weeks old and is looking for her forever snuggle buddy, Nalia was hand reared and is one of the sweetest little girls you will ever meet ,she is wonderful with all humans regardless of size all she wants to do is snuggle up to you after chasing your feet for a few minutes. 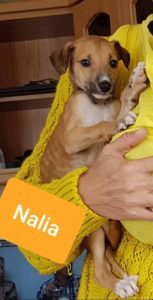 Nalia is also great with dogs of all ages and sizes, and is crate trained ,we think she will be medium size when fully grown. Nalia will be ready to go to her forever home by Mid-late August.